Published: Mar 3, 2018 · Modified: Apr 11, 2019 · By Jen Sobjack · This post may contain affiliate links. 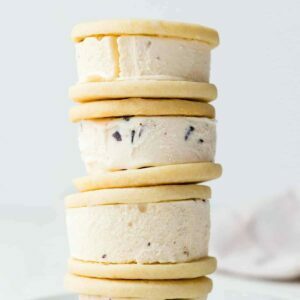 Tender vanilla cookies sandwiched around creamy ice cream make for a simple and fun way to enjoy your favorite ice cream brands. Grab your ice cream flavor of choice and whip these up today! Don’t you just love biting into an ice cream sandwich? So soft and melt-in-your-mouth delicious. 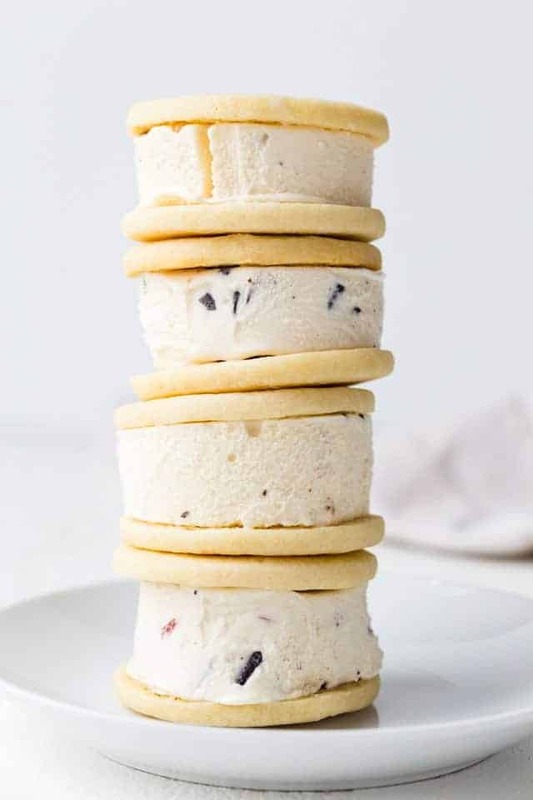 These homemade ice cream sandwich cookies are loaded with vanilla flavor and they’re honestly some of the softest shortbread cookies I’ve ever had. I’m totally wishing summer would hurry along. We’ve been having spurts of warmer weather lately and along with that comes some pretty bad storms. We sat huddled in our closet for an hour last Saturday while tornados demolished houses in our city. Good thing Publix has great deals on all my favorite frozen and dairy snacks. I’ve already stocked up on Ben & Jerry’s ice cream cups. 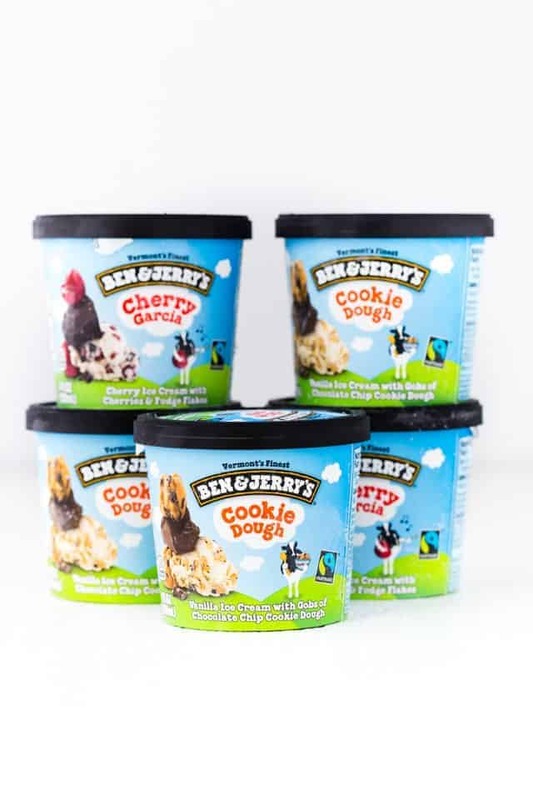 Between March 3 – 16, you can get 10 Ben & Jerry’s Cups for $10, as well as other savings on frozen & dairy foods at Publix. The refrigerated aisle provides easy-to-make and eat treats that offer the comfort of products we as consumers already love. And with new ways to use dairy products and the ability to use what you need and save the rest for later, the creative possibilities are endless. With all the ice cream I purchased, I thought it would be fun to make cookies for ice cream sandwiches. There’s nothing too fancy about them and I’m sure you have the ingredients on hand already. All very standard ingredients here. You could also mix in mini chocolate chips or sprinkles depending on the flavor of ice cream you choose to put inside. As you can tell from the ingredients, the cookies are nothing more than your standard shortbread cookie. The only difference is they are super soft. Soft cookies are a must for ice cream sandwiches. Biting into a rock hard ice cream sandwich doesn’t sound very fun at all. My teeth ache just thinking about it. 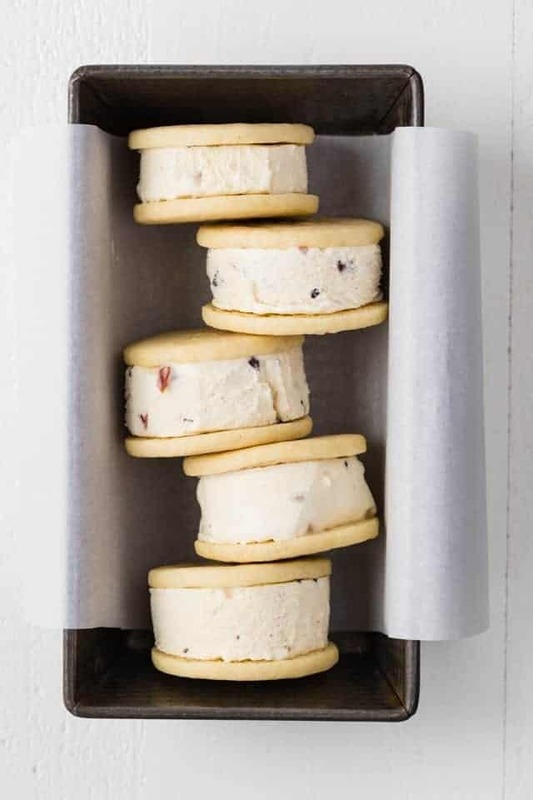 Today’s Ice Cream Sandwich Cookies stay incredibly soft and slightly chewy even after they’re frozen. The most important thing to remember is to slightly underbake the cookies. This is the best way to achieve a soft cookie that just melds around the ice cream. I kept the cookies simple with just vanilla extract for flavoring. My goal was to highlight the ice cream flavors more than the cookie. If you want to get fancy with your cookie flavor feel free to add different extracts, chocolate chips, toffee bits, or sprinkles. Use this recipe as a base for all your ice cream sandwich desires. I rolled the dough to 1/4-inch thick and used a 2 and 1/2-inch round cookie cutter. This yielded me about 28 cookies which equal 14 ice cream sandwiches. I’ll be eating one every evening for dessert! Since I purchased the little cups of ice cream, I simply cut the packing off and sliced the small portion into two discs. I found this to be so much easier than softening ice cream, pressing it into a pan, freezing it, then cutting rounds with a cookie cutter. To have enough ice cream for all the cookies, you’ll need seven of the little 4-ounce containers of ice cream. They’re the perfect width for the cookies so all you need to do is slice them in half to get two equal sized rounds. Sandwich each round in between two cookies and enter ice cream sandwich nirvana. 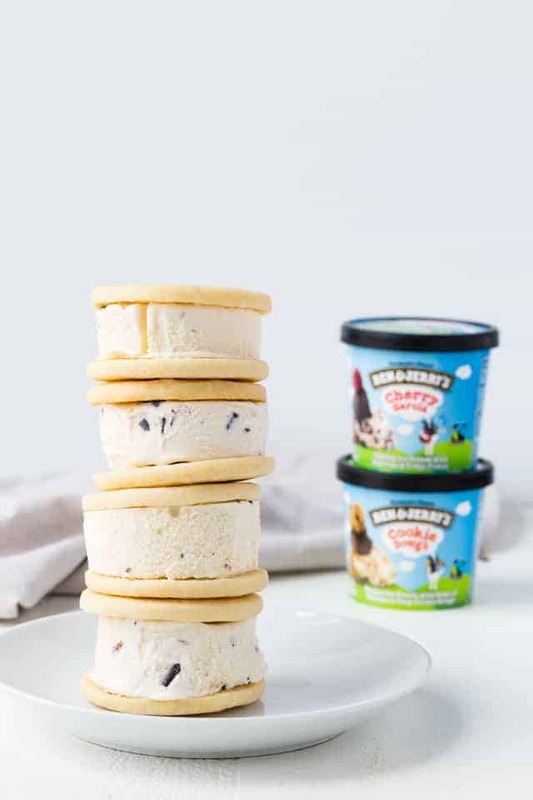 Since you can’t make these Ice Cream Sandwich Cookies without the ice cream, don’t forget to swing by Publix where you can get 10 Ben & Jerry’s Cups for $10 between March 3 and 16 or other frozen or dairy products. The refrigerated aisle also offers new products to meet consumer needs in perfect portions and flavors that capitalize on popular trends. Visit www.getthesavings.com/coolfoods to find more savings on these products to use at Publix. 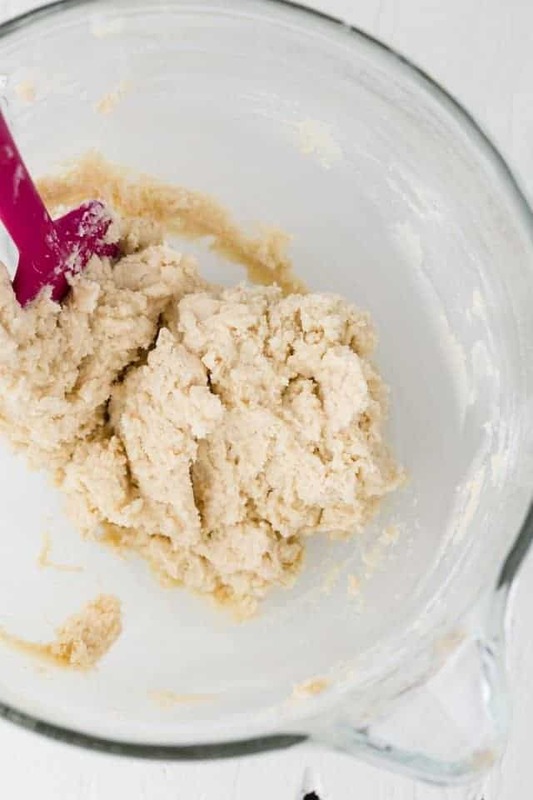 In a large bowl using a hand mixer or stand mixer fitted with the paddle attachment, beat the butter and sugar until combined and creamy. Beat in the vanilla and salt. Add the flour and beat on low until combined. Beat in the mix-ins if using. Divide the dough in half and shape each half into a disk. Wrap tightly in plastic wrap and refrigerate for 30 minutes. Preheat the oven to 350°F. Line 2 baking sheets with parchment paper; set aside. 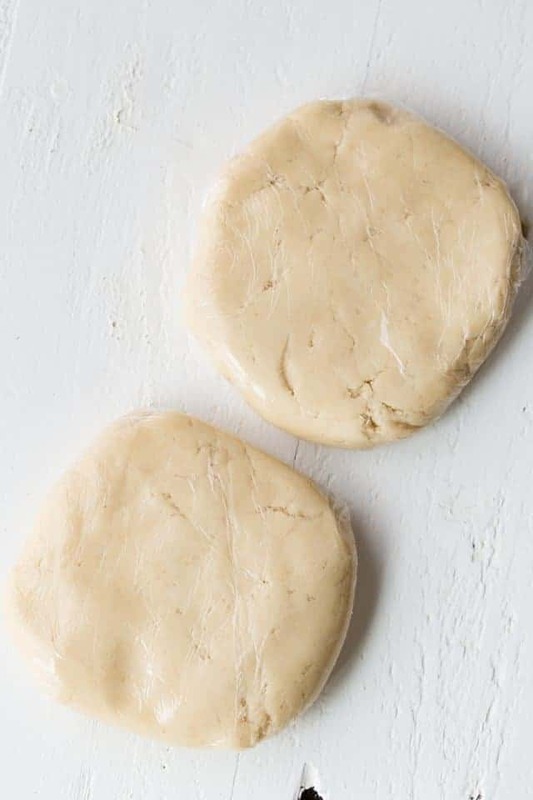 Roll each disc of dough to 1/4-inch thick. 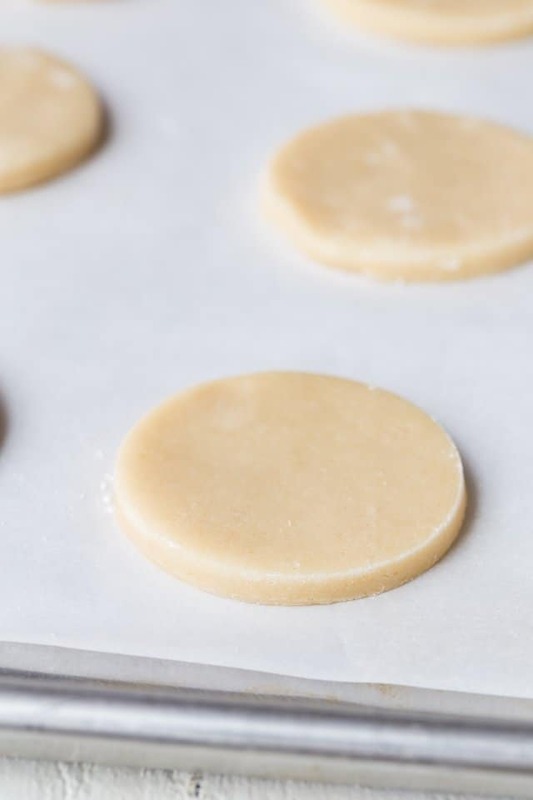 Use a 2 and 1/2 inch round cookie cutter to cut cookies and place them 1-inch apart on the prepared baking sheets. Bake for 9-10 minutes. Cookies should be soft and appear underbaked. Leave the cookies on the cookie sheet to cool completely. Remove the lid and inner seal from ice cream cups. 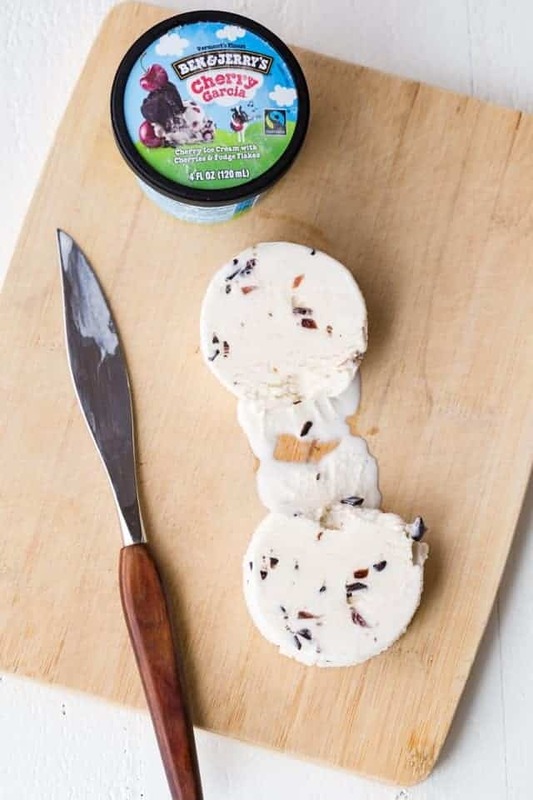 Use scissors to cut the packaging away from the ice cream. Lay the ice cream on its side and slice it into 2 equal sized discs. Sandwich each disc between 2 cookies. Serve immediately or place in an airtight container and freeze for up to 1 month. Cutting the ice cream the way you did is genius!! It definitely made it much easier! I freaking love ice cream sandwiches. These look amazing. Thanks, Kim! They were a huge hit here! These are totally making me drool! They look absolutely perfect! They were devoured quite quickly!